If you’re transporting heavy loads or moving smaller crates, the sack truck or sack trolley is the perfect transportation solution. Our high-quality range features folding sack trucks, sack trolleys and stair climbers through to rough terrain sack barrows. 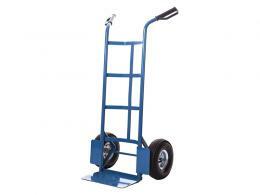 All the sack trucks that we stock are built to be heavy-duty and stand up to everyday use. 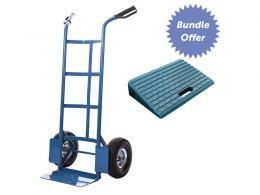 Purchase from our wide range of sack trucks and sack trolleys today. 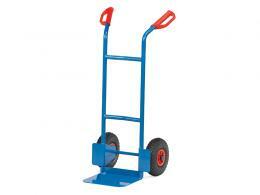 Our sack trucks and trolleys are designed to transport your heavy goods from A to B. 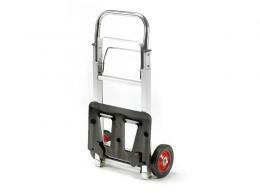 These hand trucks have been tested to ensure they’re durable enough to meet your requirements. 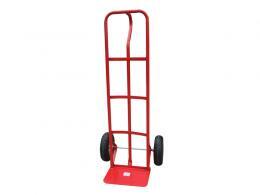 Find the right one for you by browsing our extensive range of sack trucks and trolleys. When choosing your sack truck or trolley you need to think about the weight capacity you want it to take so that you can determine if you need a heavy duty sack truck or one of the lower capacity sack trucks. You will also need to consider if this is to be on the shop floor permanently or will it need to be lifted in to the back of a lorry of van, if so then an aluminium sack truck could be of use as this would be lightweight. 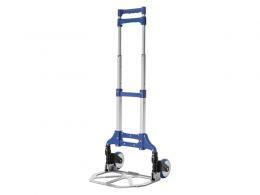 If you were looking to take it with you in the boot of your car then a foldable sack truck would be ideal. 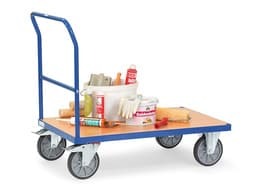 The Workplace Depot have a huge range of sack trucks and trolleys, choose yours today and receive FREE UK Mainland delivery.